Why should you worry about gluten in beans—they're a naturally gluten-free food, right? Well, yes, but they're also a food that's subject to significant gluten cross-contamination... and that can be a problem for those of us with celiac disease or non-celiac gluten sensitivity. How does this contamination with gluten occur? Well, it mostly happens in farmers' fields—it's common for farmers to grow beans and gluten grain crops in rotation, and they use the same planting, harvesting and storage equipment for both. When farmers use the same harvest and storage equipment for beans and gluten grains, then some cross-contamination is inevitable. The amount of gluten grain residue on beans processed in this way isn't high, but it's high enough to potentially make you sick, especially if you're more sensitive to trace gluten than average. How Can We Get Truly Gluten-Free Beans? Beans are a great source of vegetable protein and fiber, and just make a nice addition to many dishes. If you're following a gluten-free vegetarian or vegan diet, you'll want to be able to eat beans for the protein (not to mention the variety). But what does this cross-contamination issue mean for the gluten-free community at large, and for you, specifically? First, know that not all bean crops are badly cross-contaminated. However, it's a big enough problem that some companies call out the risk on the labels of their dried beans with the statement "May Contain Wheat" (this is a voluntary statement, by the way, and they don't have to add it). It's possible to find barley kernels in bags of dried lentils, and friends have found wheat or barley in other packaged beans, as well. However, you won't be able to tell whether your bag of mung beans (or kidney beans, or green peas, or adzuki beans) is cross-contaminated without eating them and then waiting to see if you eat gluten—not a great way to find out. That's why we urge anyone with celiac or gluten sensitivity—especially those who are particularly sensitive to trace gluten—to purchase only beans that are sold by a company that does its due diligence to keep them gluten-free. There are two companies we recommend, one of which is required to meet standards of less than 10 parts per million of gluten, and the other of which tests to ensure that its beans contain less than 5 parts per million of gluten. For comparison purposes, the U.S. Food and Drug Administration (along with Canada and most of Europe) legally defines "gluten-free" as less than 20 parts per million of gluten. There's no guarantee that you won't still react to those beans, but the odds are considerably less. Edison Grainery. Edison sells gluten grains, but it reserves a separate "allergen-free" warehouse building that's free of the top eight allergens (milk, egg, fish, shellfish, tree nuts, wheat, peanuts, and soybeans), along with gluten and sesame. To back up its commitment to gluten-free products, Edison sends a sample of every lot of its beans to an independent lab to test for gluten to less than 5 parts per million. It also tests for other contaminants, such as bacteria, yeast, and mold. The four test results we reviewed (for navy beans, black beans, adzuki beans and kidney beans, all organic) were all negative for gluten, meaning the bean samples contained less than 5 ppm. Edison sells numerous types of beans along with bean flour. Nuts.com. Despite the name, Nuts.com offers beans and other food products. The company has been certified gluten-free by the Gluten-Free Certification Organization (GFCO), which requires testing to ensure that products contain less than 10 parts per million of gluten. 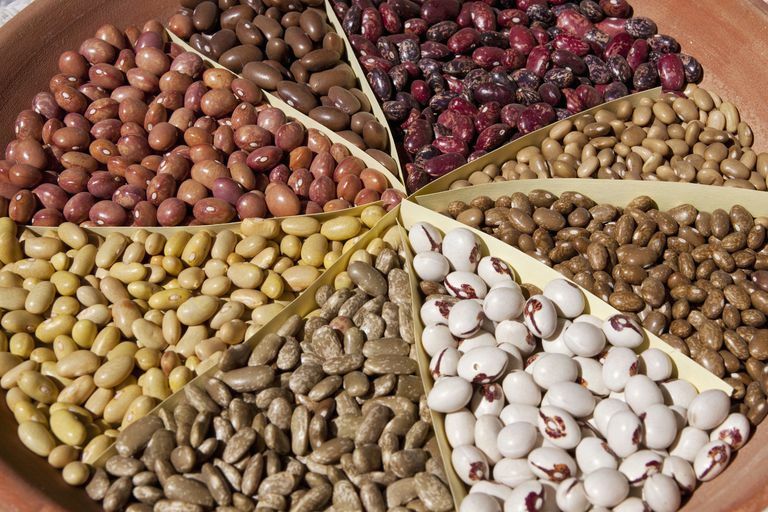 Dried bean options include cranberry beans, fava beans, garbanzo beans, great Northern beans, and cannellini beans. The company also offers five or six bean flours you can use in baking. Note that previously, Shiloh Farms listed certified gluten-free beans on their website. Several people reported problems with these (including finding gluten grains in bags of supposedly certified gluten-free beans), and the company no longer sells certified gluten-free beans. We recommend trying one of the other options. Be aware that some people react even to beans that are certified gluten-free. If that's the case for you, learn about beans for those sensitive to trace gluten. However, most people with celiac or gluten sensitivity should do fine with one of these two bean options, since the companies have taken steps to make certain their beans exceed legal "gluten-free" standards. If Beans Are Gluten-Free, Why Do They Make Me Sick? Are Wheat Grass and Barley Grass Safe to Eat If You're Gluten-Free? I'm Gluten-Free, and I React to Soy Too. What's Going On?